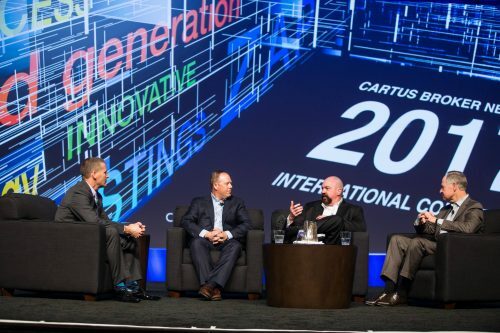 Cartus International Real Estate Conference - Pygott & Crone - Houses. Homes. Harmony. Local estate agent Pygott & Crone, Relocation Agent Network member for Lincolnshire, has just returned from the Cartus Broker Network International Real Estate Conference in Phoenix, Arizona. Pygott & Crone attended the conference as one of the leading members of Relocation Agent Network, an organisation made up of estate agents across England, Scotland and Wales. As a Network member, Pygott & Crone has been selected to be the area’s Local Expert, specialising in helping out of town buyers moving to the area. Paul Wood, Kevin Scrupps and Nathan Emerson all directors of Pygott and Crone along with Senior Manager, Jason Sedlan attended this prestigious event. About Relocation Agent Network. Relocation Agent Network is a national network of specially selected estate agents. All members are handpicked after thorough checks identify them as the best estate agent to represent Relocation Agent Network in their area. The Network provides coverage throughout England, Scotland and Wales. Relocation Agent Network is a division of Cartus, the premier provider of global relocation services, with more than 163,000 customers moved worldwide every year. In the UK, Cartus uses Network members to buy and sell homes for these relocating families. As well as relocating families moving with Cartus, Relocation Agent Network helps house movers in other parts of the country by referring buyers and sellers from one area to another.